First, you might be wondering if this is the ‘adult’ thing to do. Is it okay to attempt to replace those friendships you had relied on when you were younger? The answer is yes. Humans are practically wired to make new contacts and form new friendships throughout their lives. There is nothing wrong with reaching out to people you have an interest in, no matter how old you get. Secondly, the whole ritual of meeting with people and deciding that you truly wish to be friends never gets simplified. Awkwardness is bound to happen. However, aging grants us one thing: the ability to make more mature deductions. We learn as we age how to better communicate with those around us. Yes, you will make some mistakes, but do not that deter you from asking questions and bonding with coworkers or the next door neighbor. 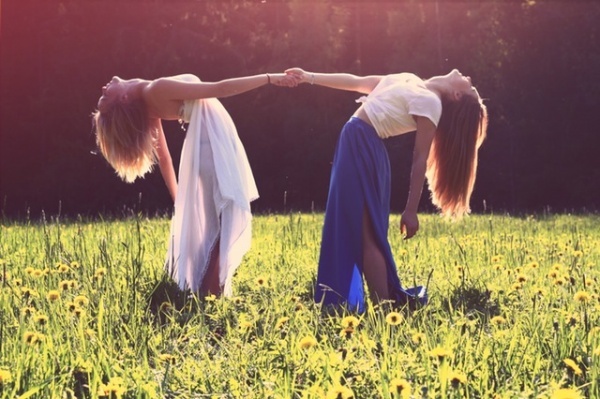 Friendship is not a spontaneous reaction to a wave. Friendship needs to be grown between two individuals before you ever see any fruit. In that light, if you want to meet new people, don’t be afraid to ask questions or start random, casual conversations with those who you see most often. Go back to the school days when those you sat next to in class became the people you found yourself speaking with quite often and apply the same rule here. Once you get past the daily talk about how the weather is or what the commute into work was like, you can start prying a little further. See if you have anything in common with your conversation partner. If you do, there are grounds for offering to meet up somewhere for lunch or coffee. Try a new hobby or join a social group that meets up regularly. The great thing about today’s technology is that we can gain an immediate sense of belonging by finding social groups and clubs that pertain to our interests and hobbies. If joining sites like meetup.com turns you off, try volunteering at events being held nearby or at community centers, go to bars (if that’s your thing), start doing group fitness classes, or go traveling. Sometimes putting yourself into situations where you need to speak to people you don’t yet know makes it easier to introduce yourself to strangers. A sense of camaraderie will form between you and other members of the group. Better yet, invite others to join the conversations you will certainly be having. Do not try too hard to come off as overly open and friendly, however. People will see this as desperate and may be steered away. 4. What if I am an Introvert? Use your strengths as an introvert to guide you rather than focusing on where you lack confidence. As an introvert, you will have the ability to connect with some people on a much deeper level. Maybe you are a really good listener and can remember details about a person that will help you form a better conversation next time you happen to speak with them. Choose topics that you can speak at length about, like books or tea or cat videos on Youtube. Also, do not be afraid to utilize social media if you are comfortable with it. This will help you make friends no matter your age. Before you begin with trying to make new friends, first believe that you can meet people you will click with. Put aside some time to join a social group or simply speak to someone new at work during the break. You never know where a hello will take you until you try. Even if you do not make friends immediately, going out into the world with openness and confidence will attract positive energy to you, and you will find yourself with new friends after 30 in no time. HOW TO MAKE FRIENDS AFTER COLLEGE?